I think with Change – lots and lots of change so that you haven’t got time to evolve quick enough, keep up with it, morph, adapt, find your feet – there’s a danger you’ll lose sight of who you are and where you’re going. I think there is a tendency to look at this enormously different vista and try to take it all in at once and the dimensions, the vastly different shape of new views, is overwhelming. And I lose my voice when I’m not sure who I am anymore? The children came and went. Their arrivals were glorious. Their going less so. But you can’t live your life through children, anchor yourself through those to whom you are duty bound to grant wings. That’d make you – me – a Sad Cow. The sodden Saturday that saw the last of my young ones leave for London saw me, equally sodden, tearful and unhinged. For life is still a little slippery and connections with people are not such yet that I can weepily descend upon them with my woes and wine. The wine might be ok; the woes wouldn’t be. So I foreshortened my gaze. I stopped looking at the Big Picture. Instead I telescoped my life like I did in the Outpost – for loneliness is a frame of mind and not borne of geography (‘a city can feel just as isolating’ I tell my husband with a sniff and a hiccup). I hunkered down in my workshop. I dusted off my tools. 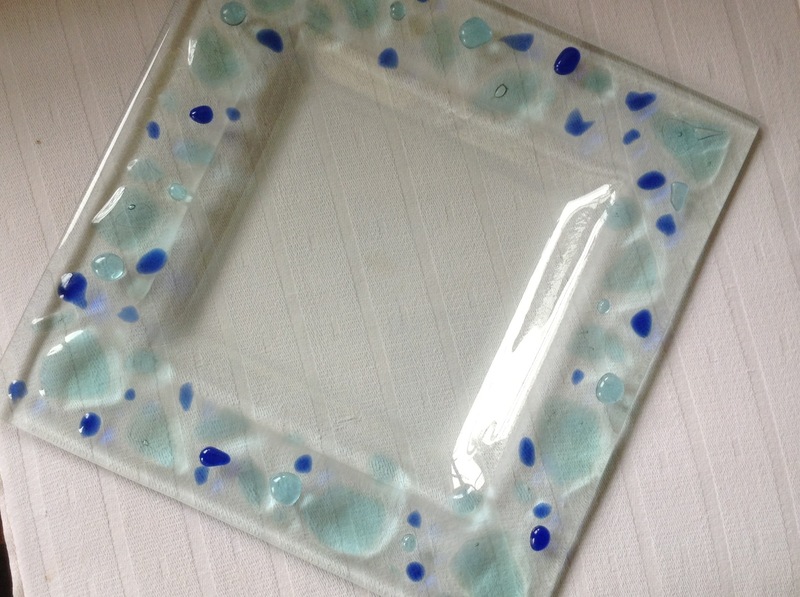 I blew the fluff from my kilns and I fired them – and myself – up. The determined concentration that comes with cutting glass, tiny, bright shards, the focus that it takes to conjure a pattern of colour, the deliberation I must make to remember the physics of how it all works and suddenly there it is: the day is less long. And less lonely for though I am still on my own, my labours have generation an occupation. I learned some good lessons in the Outpost. The words come rushing back and I cannot pin them to the screen quickly enough for my fingers are Elastoplast-swathed.